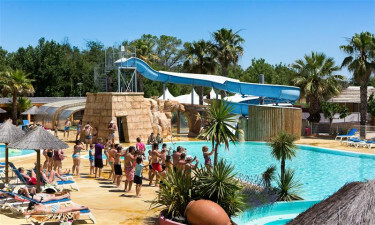 Nestled within the temperate Languedoc region of southern France, L'air Marin is a stunning holiday camping site which offers a kaleidoscope of unique opportunities for visitors of all ages. To learn more about its beaches, amenities and facilities, please speak with a representative from LUX-Camp. All facilities are accessible by those with wheelchairs. The ability to enjoy maritime activities. Dogs are welcome throughout the year. This luxury camping site is found only moments away from a regional airport. 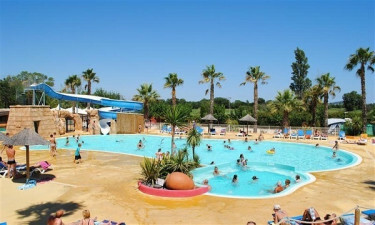 This holiday camping site is found a short distance away from the famous Vias-Plage beaches of the Languedoc region. Warm waters and sandy shores await for those who hope to sit back and relax in the sun. Alternatively, there is a large open air pool found within this resort. As it is equipped with a serpentine water slide and monitored by trained lifeguards, children are absolutely welcome here. No camping holiday would be complete without modern accommodations. Some of these include spacious mobile homes, baby changing facilities, a fully equipped laundrette and free Internet access.